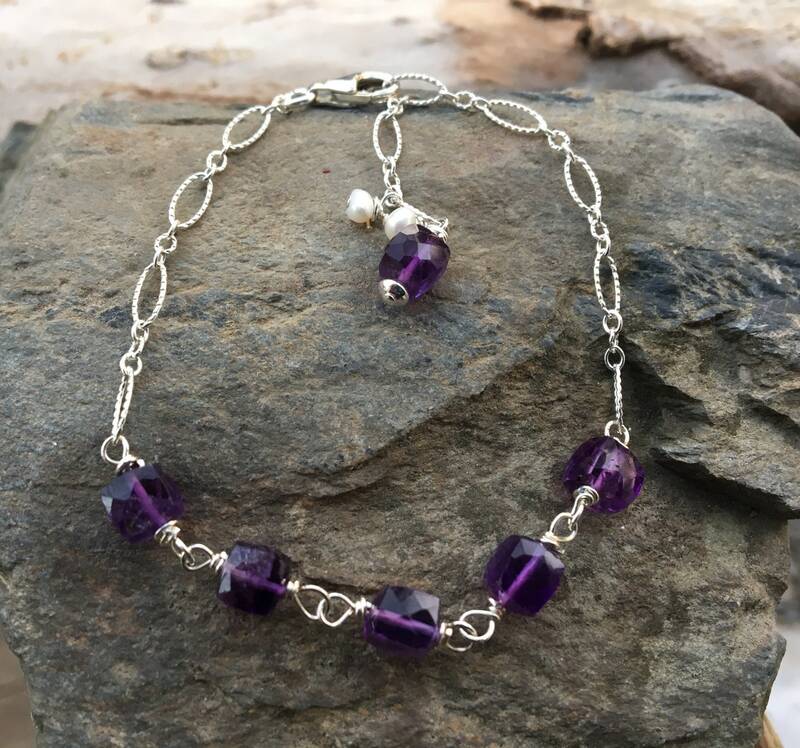 This sterling silver bracelet features five faceted Amethyst cubes. 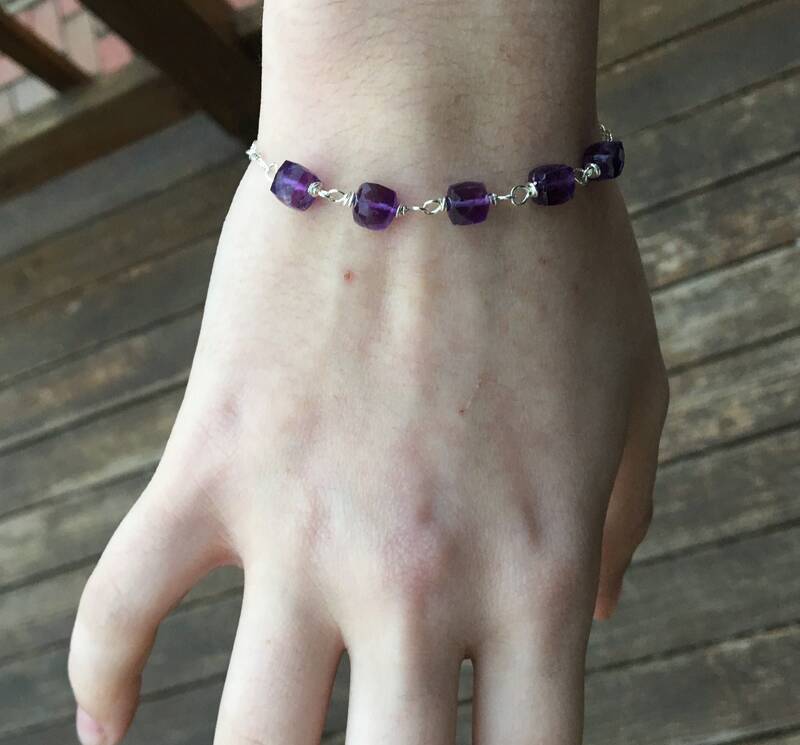 These gems are wired by hand to create these eye catching links. 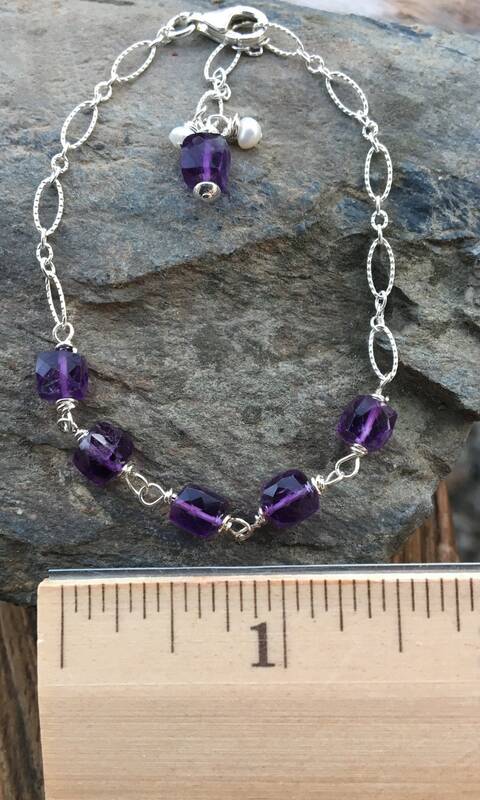 This bracelet adjusts up to 8” long. It has a nice, sturdy lobster claw clasp. 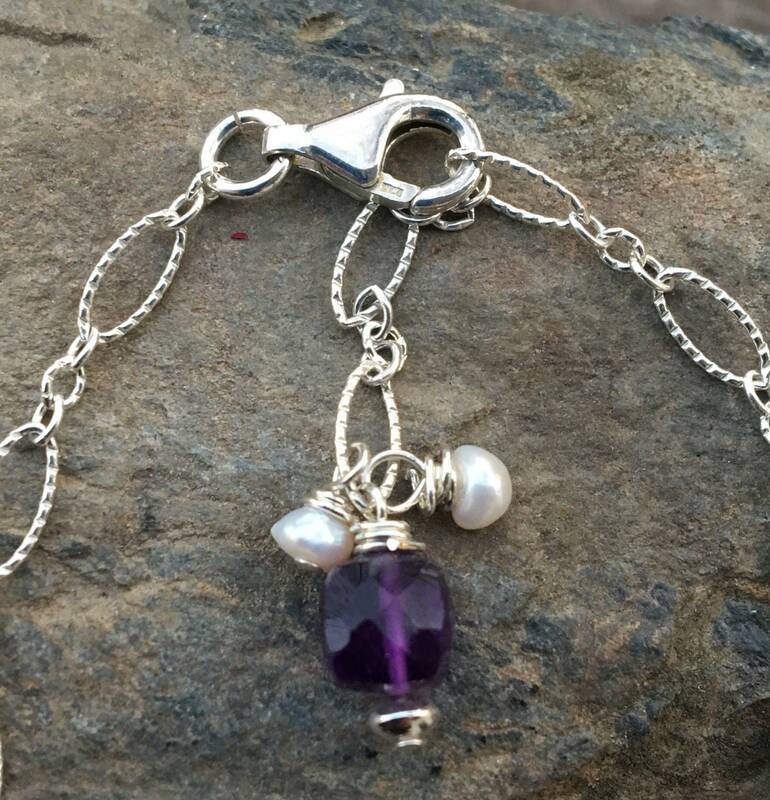 An additional Amethyst cube & two freshwater pearls are hand wired to the end of this bracelet chain.